India on Wednesday issued seven-day visas for the Pakistani judicial commission that will visit the country on September 21 to cross-examine the Mumbai terror attack witnesses and carry forward the much-delayed trial. “We have issued the visas today and the passports would be handed over today itself,” a diplomatic source said. Sources said the eight-member commission had sought visas for 4-5 days but the High Commission has given them a seven-day visa. They added that visa had been given for Mumbai, Delhi, Agra and Amritsar. The visit has been delayed thrice this month. While India had given a date for early September, the team could not leave due to cancellation of PIA flight. Finally, a new date was fixed for September 11 but India said due to Ganesh Chaturthi festival, courts would be closed in Mumbai. The visit to India to cross-examine witnesses is being undertaken to take forward the prosecution of the seven suspects, including Lashkar-e-Tayyaba commander Zakiur Rehman Lakhvi. 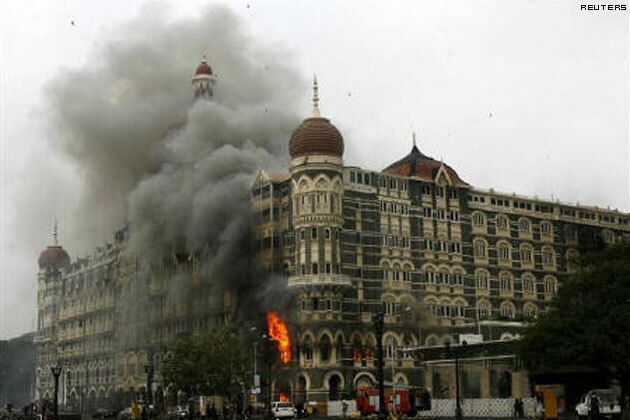 The witnesses are the magistrate who recorded LeT terrorist and lone surviving gunman Ajmal Kasab’s confessional statement, the chief investigating officer and two doctors who conducted the autopsy of the terrorists who carried out the Mumbai attacks in November 2008. This would be the commission’s second visit to India. A report submitted by the panel after its first visit in March 2012 was rejected by an anti-terrorism court as the commission’s members were not allowed to cross-examine witnesses. The Mumbai attacks trial in Pakistan was also a subject of discussion during the recent talks held between External Affairs Minister Salman Khurshid and his Pakistani counterpart Sartaj Aziz in Bishkek in Kyrgyzstan.